NSW Police have warned of penalties of up to 10 years jail may be handed out to those found deliberately contaminating food as the food crisis heads towards another week. 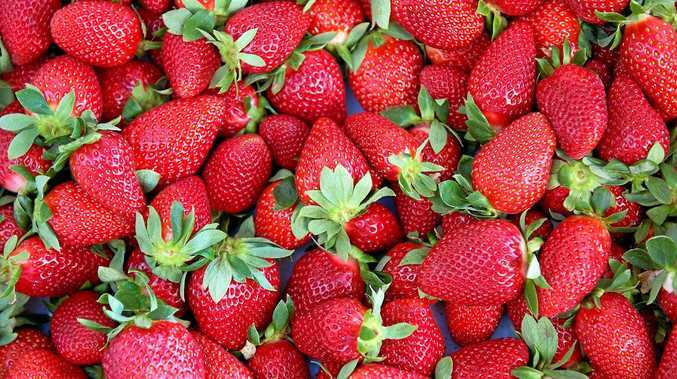 An investigation, which is now being led by Queensland Health, was launched on Wednesday September 12 to investigate reports of contaminated strawberries supplied from Queensland, where sewing needles were believed to have been inserted into the fruit. Inquiries to date indicate the contamination affects three brands of strawberries - "Berry Obsession", "Berry Licious" and "Donnybrook" - which were sold across Australia, including NSW. These three brands have since been recalled. While police have received reports of potential contamination impacting other strawberry brands, police are advising consumers that they are believed to be safe to eat, but to be sure, cut the fruit before consuming. So far, NSW Police Force has received more than 20 reports of contaminated strawberries, which have been seized for forensic examination. If any member of the community is concerned about the integrity of the product they've purchased, it may be returned to the point of sale. The community is reminded that deliberately contaminating food is a criminal offence and a threat to public safety. In NSW, the maximum penalty for the offence is 10 years imprisonment. Anyone with information that may assist investigators is urged to contact Crime Stoppers: 1800 333 000 or https://nsw.crimestoppers.com.au. Information is treated in strict confidence. The public is reminded not to report crime via NSW Police social media pages.